Last month we set sail for Cuba on a dream that had taken nearly two years to implement. By any criterion, this expedition was an outstanding success. All cruise objectives were achieved. 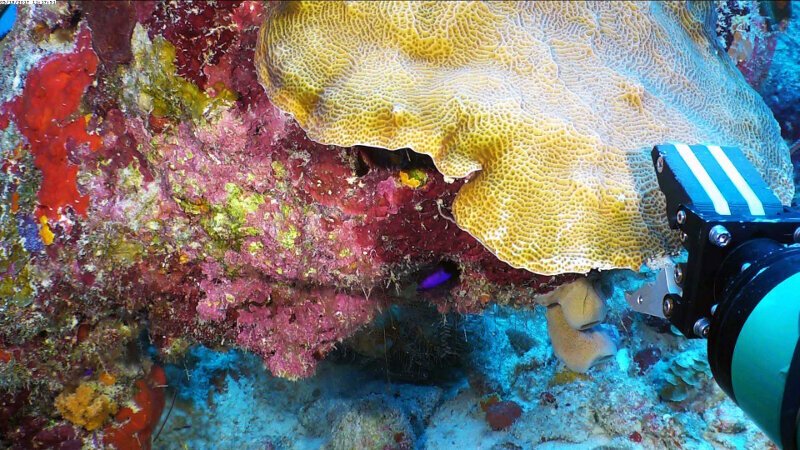 June 13, 2017 | By M. Dennis Hanisak, Ph.D.
Our circumnavigation of Cuba to explore its mesophotic reefs is now complete! 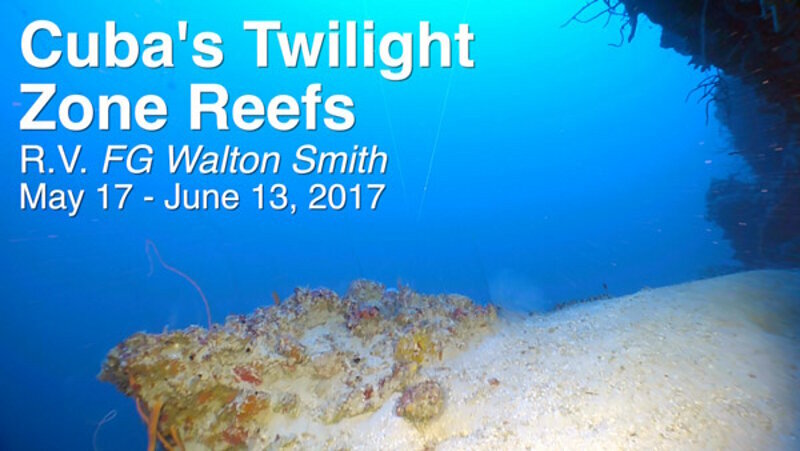 We ended Leg 2 of our Cuba’s Twilight Zone Reefs Expedition right where we started, in Havana. 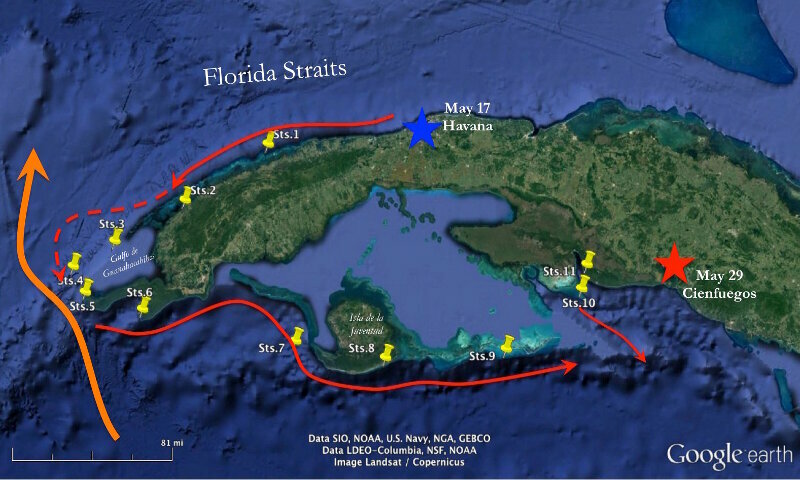 The final week of our expedition has focused on mesophotic sites along the Northern coast of Cuba from Punta Maisí on the eastern tip of Cuba to Havana. We expected conditions here to be some of the most challenging of the expedition. 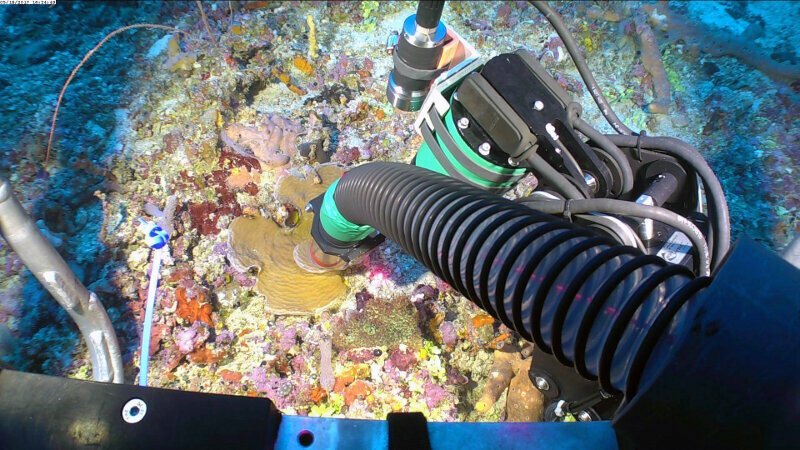 The ROV sample collection skid, including the manipulator, is the key to successful specimen sampling during our mission. Samples can vary widely in their structural integrity. In our ROV dives at the Cayo Coco site of the Archipelago of Sabana-Camagüey, we observed a higer diversity of Halimeda spp. It is interesting to see how the patterns of distribution in these two groups of algae (brown algae and green algae) seem to alternate. Five days have passed since we left the port of Cienfuegos, exchanged portions of the scientific team, and started our 1000-mile journey. The team first explored three locations seaward from the "Golfo de Ana Maria, and the "Gulf of Guacanayabo". Seaweeds are among the most ancient organisms on Earth. When we are looking at the display during our ROV (Remotely Operated Vehicle) dives, we are anxious to discover what is the maximum depth where seaweeds can live. 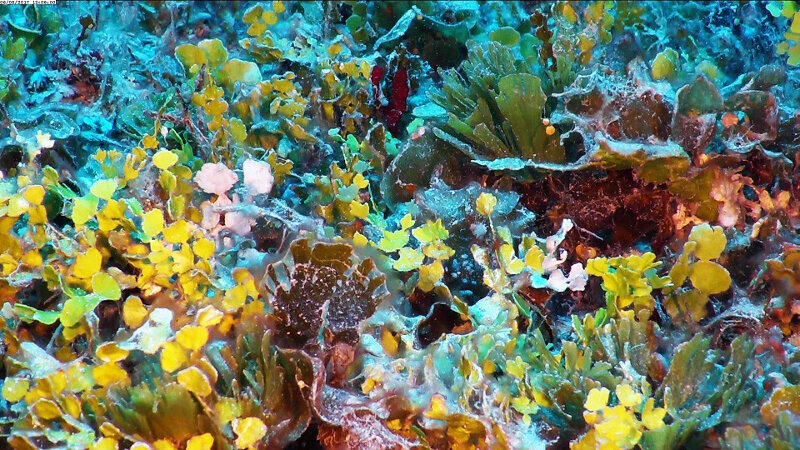 What is the ocean environment these deep corals live in, and what are the physical forces that control these water properties? During the first leg of the Cuba’s Twilight Zone Reefs Expedition, which included the western half of Cuba from Havana to Cienfuegos, we observed a very diverse group of fishes. In general, we expected to see larger numbers of fishes, but the number of species observed was very impressive. 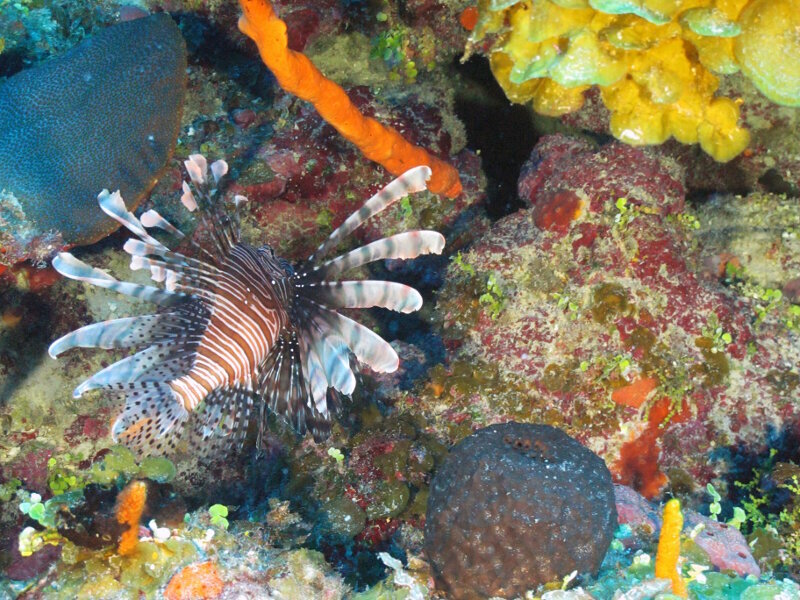 Yesterday we finished the first leg of the Cuba’s Twilight Zone Reefs Expedition, with a golden experience. 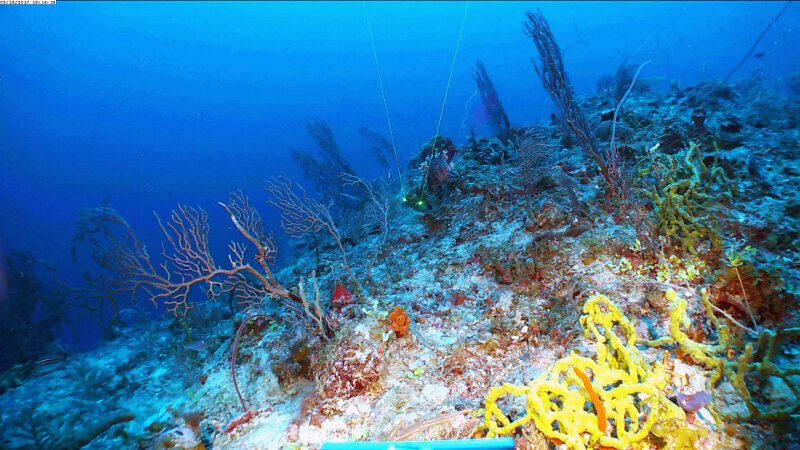 The last dive with the Mohawk ROV was in Bay of Pigs, specifically Punta Perdiz. 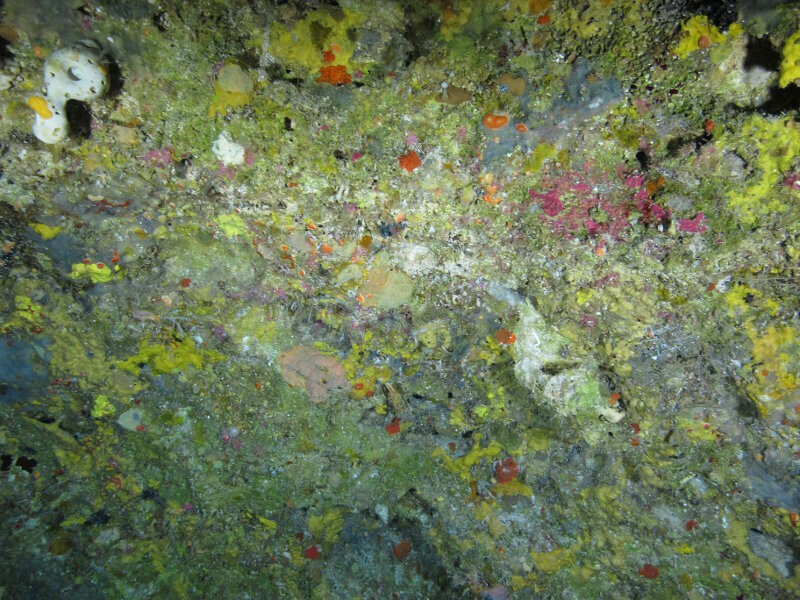 We were welcomed at 170 m by a "sponge party". Many of the species we have observed at 100-125 meters were there, daring the abyss, in smaller sizes, but present. 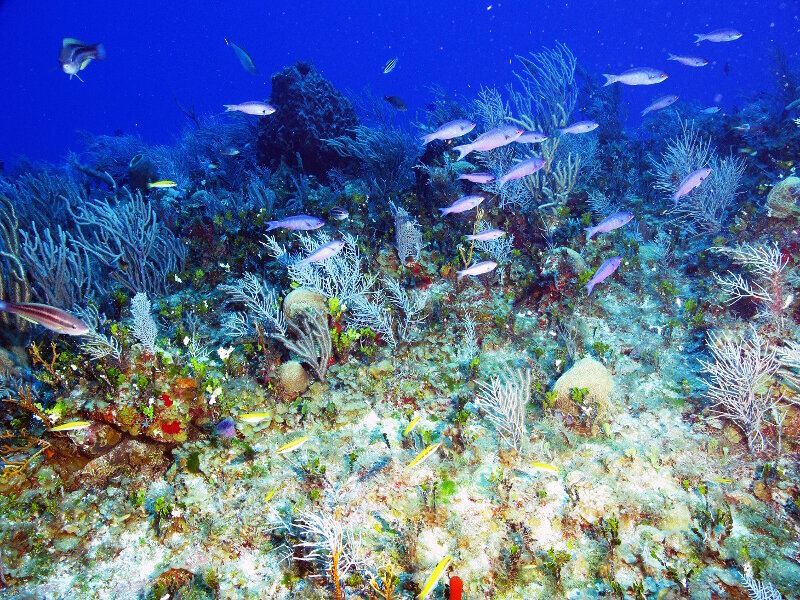 Western Cuba: A Stepping Stone for Corals in the Gulf of Mexico? 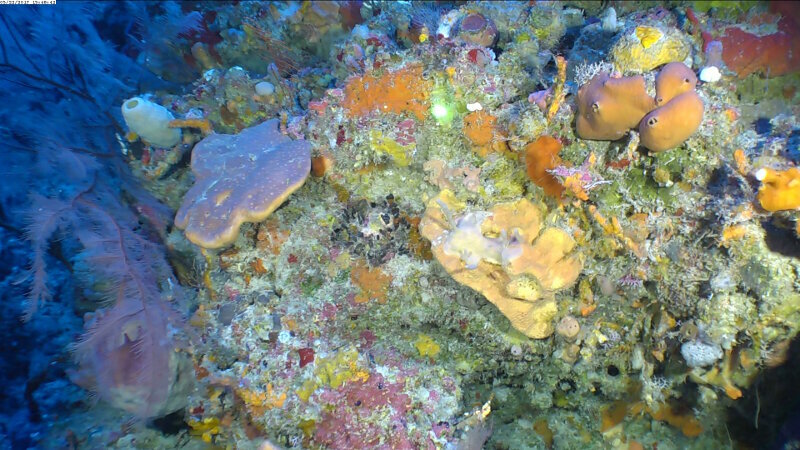 Beyond exploration of new mesophotic reef habitats and characterization of community composition across depths, our expedition includes another important research objective: to sample benthic species. For the first four days of the cruise we worked along the northwest coast of Cuba, visiting for the first time the deep reefs between Havana and Guanahacabibes at the western tip, a distance of 190 nautical miles. San Antonio Bank is in the Gulf of Mexico, northwest of the Peninsula of Guanahacabibes in Pinar del Río Province. 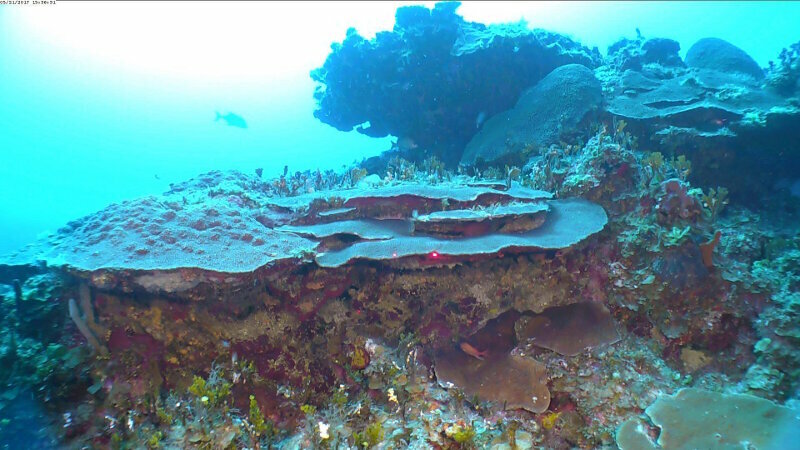 This is a bank of reefs that rise from the ocean bottom and is surrounded by waters deeper than 1000 meters. It is a unique type of structure in Cuba. On our first night together with the Cuban scientists, we discussed general points of the expedition. Shall we sail all the island perimeter? 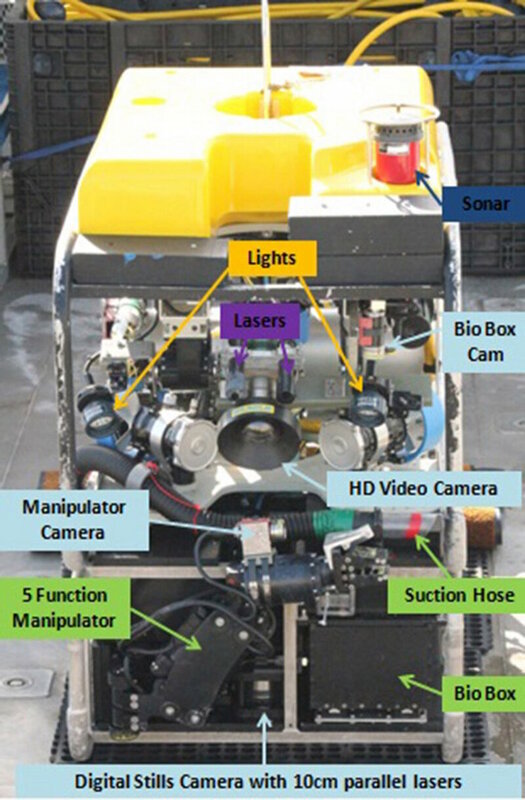 Can we dive with the ROV in 60 localities on 30 days? Will the weather allow diving? 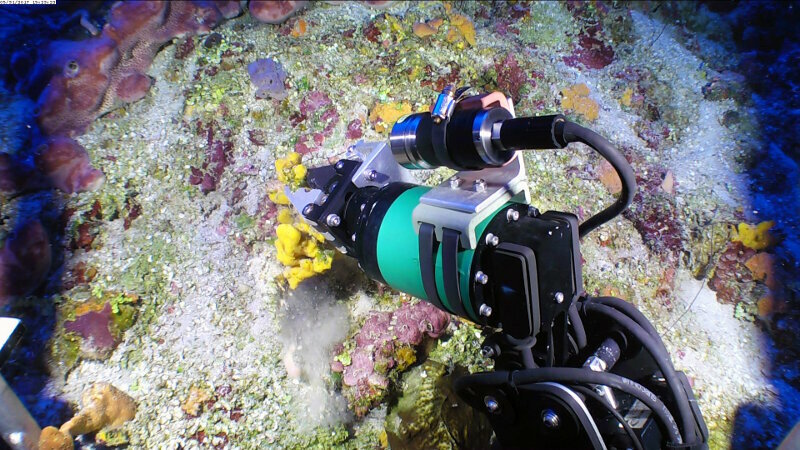 Will we be able to dive the ROV off the treacherous Guanahacabibes Peninsula? 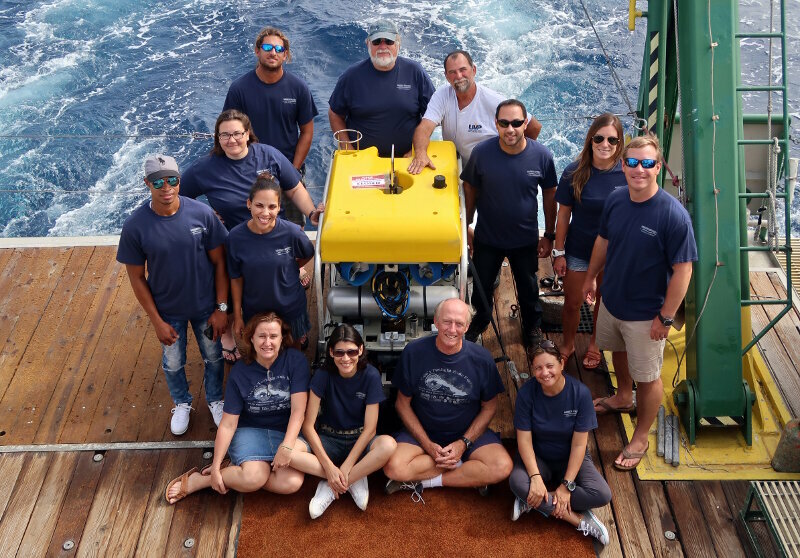 The project kicked off with the team convening in Morehead City, North Carolina, to prepare for the expedition and to load all of the equipment needed to investigate the site of the U-576 and its victim the Bluefields onto the Baseline Explorer research vessel. At 8:00 a.m. the pilot guides us into the port of Havana. Old sights that I first saw in 1967 greet me; the Castillo de Morro at the entrance of the Port and Old Town to the right. Preparation and Departure: We Are Going to Cuba! Nearly a year and a half has passed since we began our deliberations for going to Cuba on a research cruise. 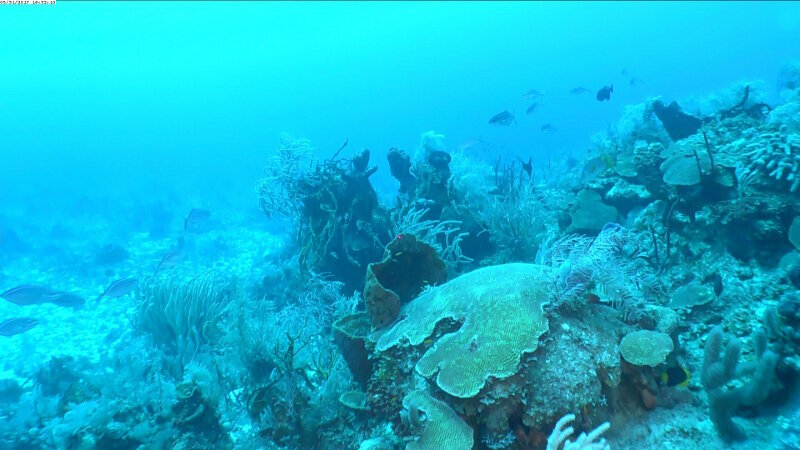 Although the shallow reefs of Cuba are fairly well known, no one to my knowledge has studied Cuba's deep water reefs. 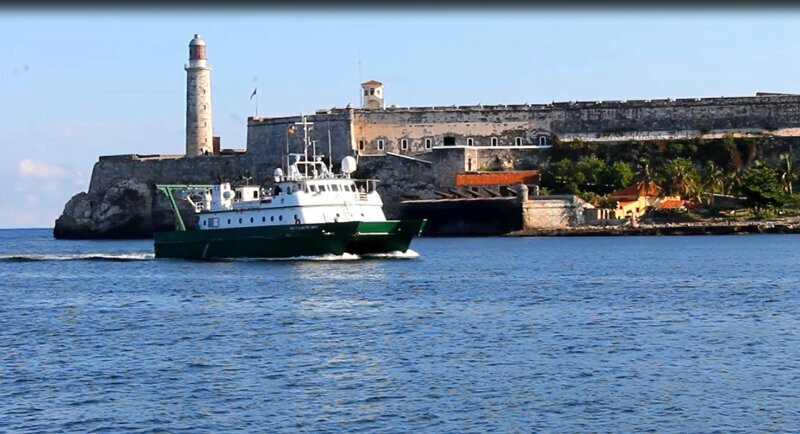 At 9 p.m., we pull away from the dock for our 30-hour journey to Havanna.